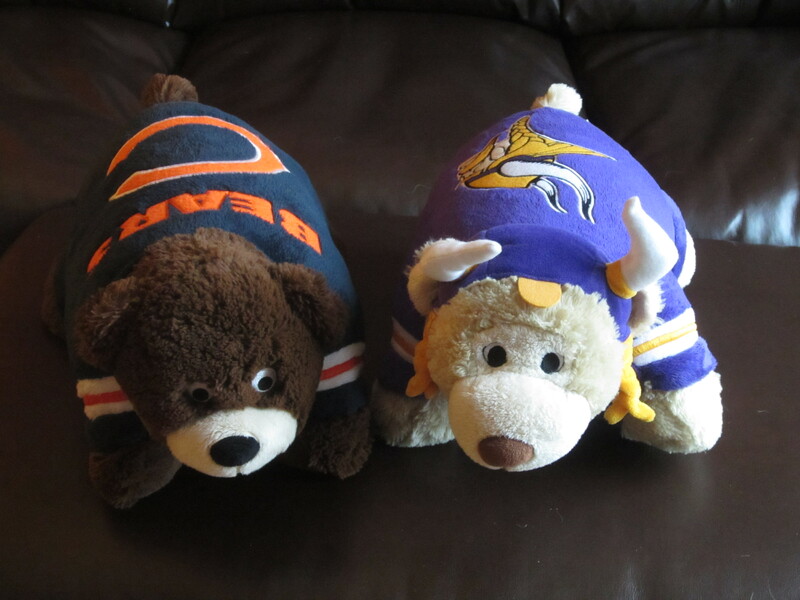 Bigg and I have been playfully talking smack these last couple years about the Bears and Vikings rivalry. Last year was easy, they both sucked. This year started out more interesting as each team got off to a great start. The best part of this rivalry is, we both love when the Packers lose. Heh. Since Bigg’s dad grew up in Chicago, the WanAt’s have been Bears season ticket holders since, well, forever. Bigg put in his request for the Vikes game tickets and yesterday didn’t disappoint. It was a beautiful fall day, sunny with temps in the low to mid-30’s which is perfect. Early on, the Vikes defense got the ball deep in Bears territory and they were able to get 3 out of the deal. Ya buddy. OH! The ribbing started immediately getting off the shuttle bus when some dude behind us gave us his opinion on Jared Allen and the Vikings. We just kept walking but one of his friends must of said something about the Bigg mass holding my hand because the next thing we heard was, “that’s okay, we have numbers.” That got some lulz out of us and maybe with a little relief I heard, “she’s laughing. It’s okay, she’s laughing.” Heehee. It was a great day and wrapped up a fun holiday weekend. It would have been better had the Vikings won but we can’t always have everything we want. Besides, the Packers got spanked last night which puts the Bears solidly in first place. All right by me. As you probably know, Larry Hagman passed away this weekend (yes, lots of people thought he was already gone.) RIP. There was a cute story on the interwebz about the time he met the Queen Mother and even SHE wanted to know who shot J.R. His reply? “Not even for you Ma’am.” Pretty cute. The drinking sometimes made it harder to remember lines, but I liked that constant feeling of being mildly loaded. Larry Hagman on his drinking during the shooting of Dallas. This entry was posted in Uncategorized and tagged barbells, Bears, Dallas, Larry Hagman, strength training, Vikings. Bookmark the permalink. I’m extremely impressed together with your writing abilities as well as with the format for your weblog. Is this a paid topic or did you customize it yourself? Anyway stay up the nice quality writing, it is rare to peer a nice weblog like this one today..